We are strictly against wasting space. That’s why we fused the task and milestone view into one. Now you can add both in the same place, just a click of a tab. Easy peasy. 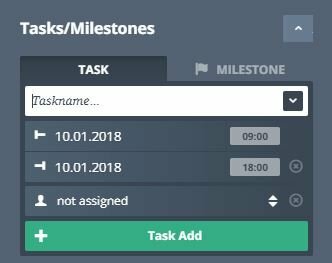 You can also use Agantty as a handy To Do list for yourself now by adding tasks without a date. For more detailed information about tasks check out the features.